Ah, the classic game of tic tac toe. 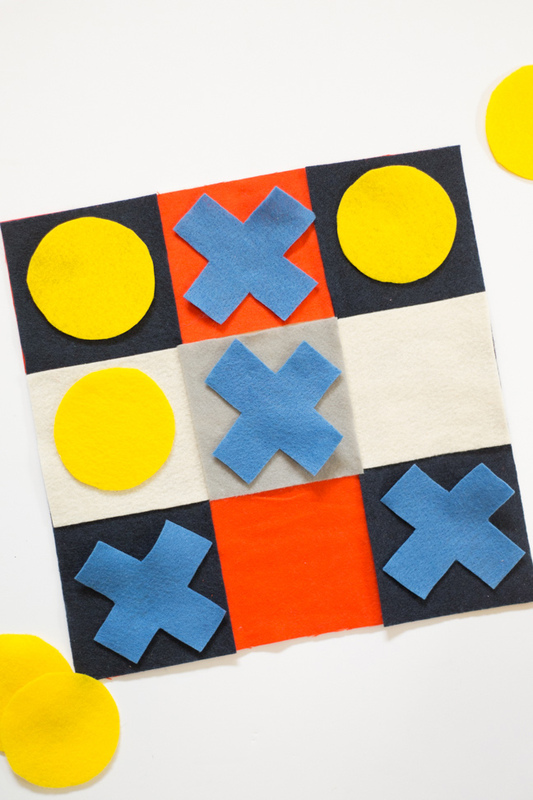 It sounds so simple to line up three x’s in a row, but once your kids get good at it, every game will end in a tie. Tic Tac Toe teaches kids a ton about deductive reasoning, and is the first step in turning them into grandmaster chess players someday. 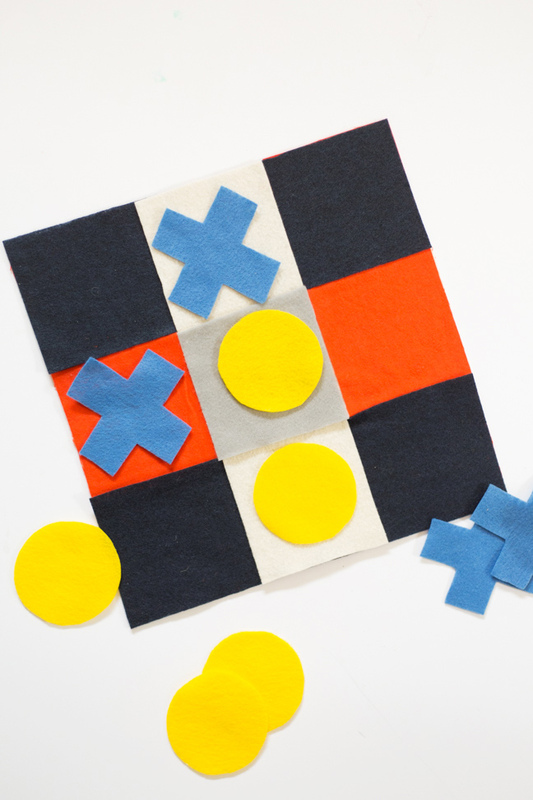 This little DIY is a felt tic tac toe game, so you can roll it up and take it anywhere, even on the road. 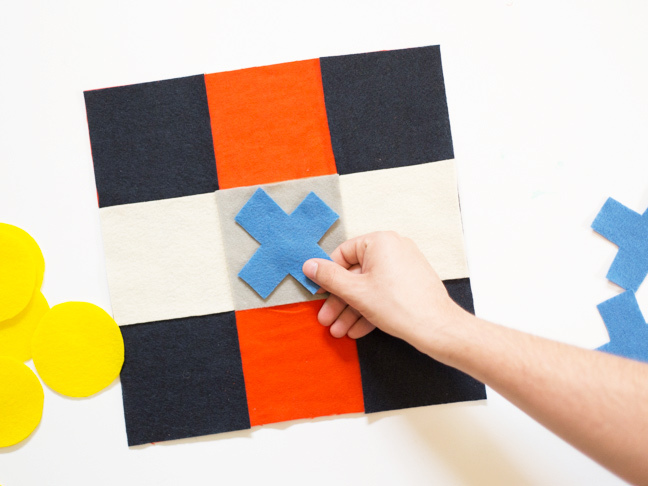 Make one of your own with the kids, and it will keep them entertained on long car trips. 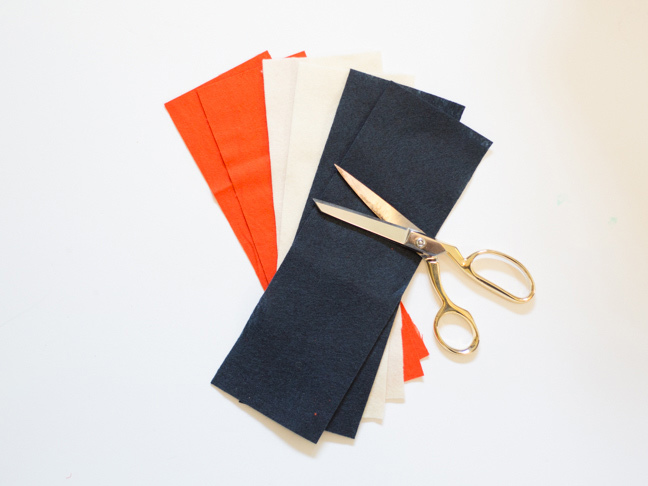 Step 1: Cut six strips of felt in various colors. 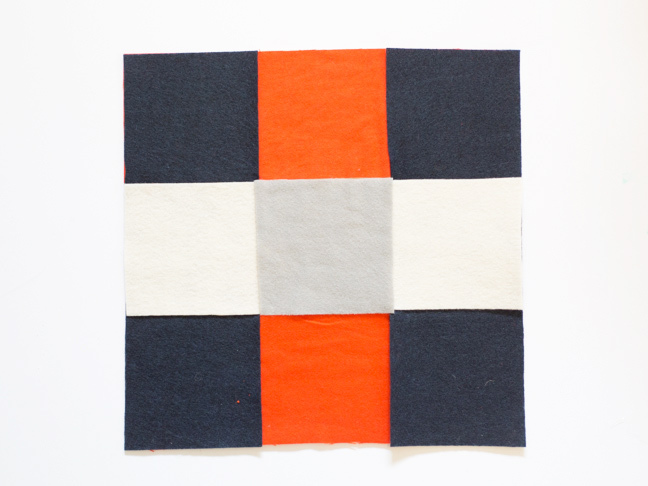 Strips should be 12″ x 4″. 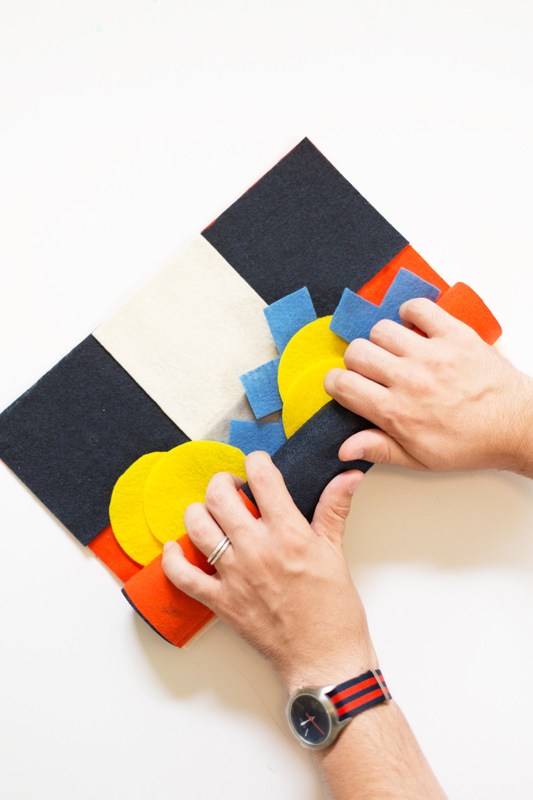 Step 2: Begin to weave your felt strips. Lay down one vertical strip. 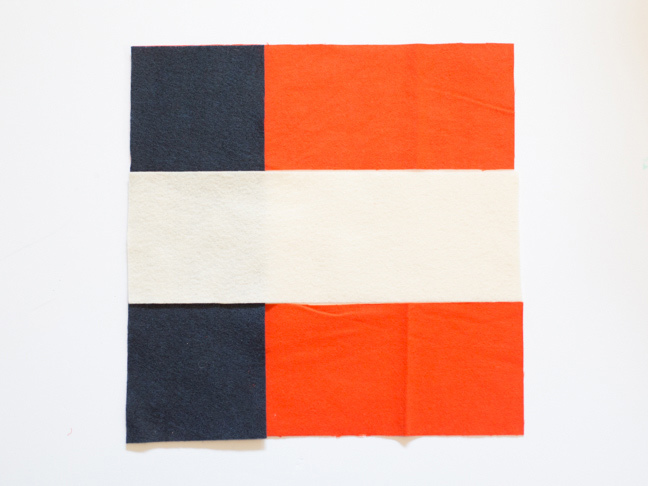 Lay three horizontal strips with it; the first should be under, the second over, and the third under. Step 3: Glue these strips together. Step 4: Lay another vertical strip, reversing the weaving pattern. Glue together. Repeat with the final vertical strip, weaving it in and gluing together. 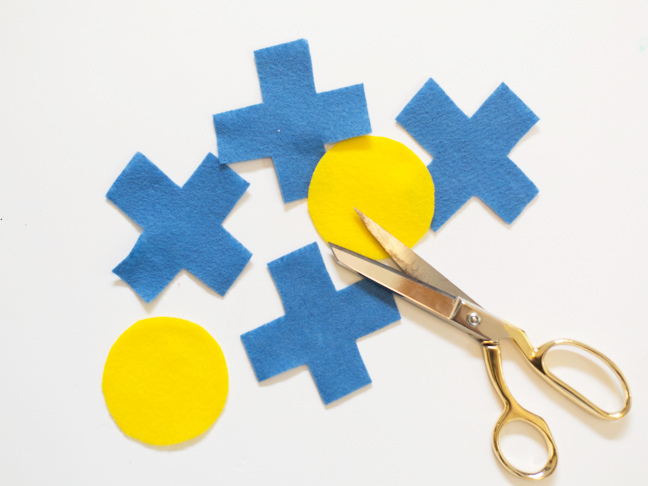 If you like, finish the board with a center square of a different color by gluing it on top of the board. 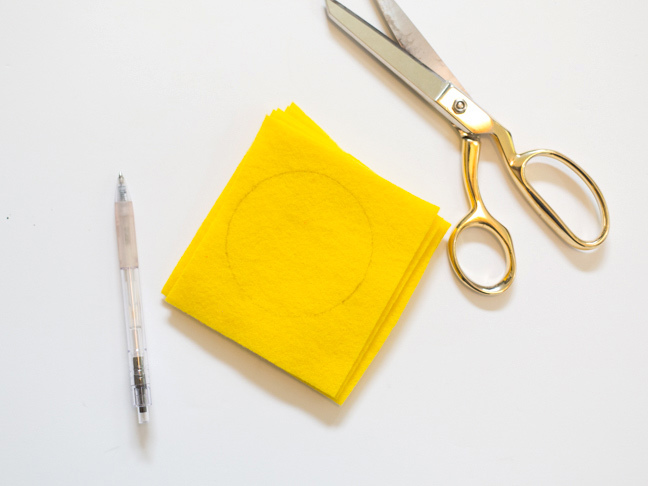 Step 5: Trace a cup or other circular item on a different color of felt. Use this tracing to cut out five o’s. 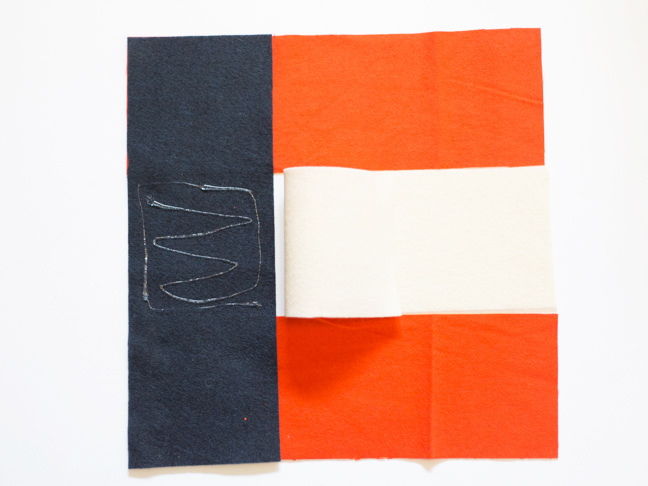 Step 6: Use a ruler to trace x’s on another color of felt; cut out five of these also. 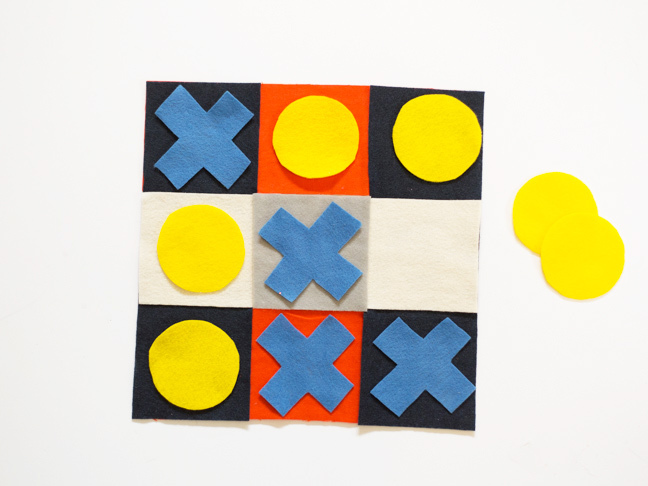 Step 7: Get your tic tac toe on! 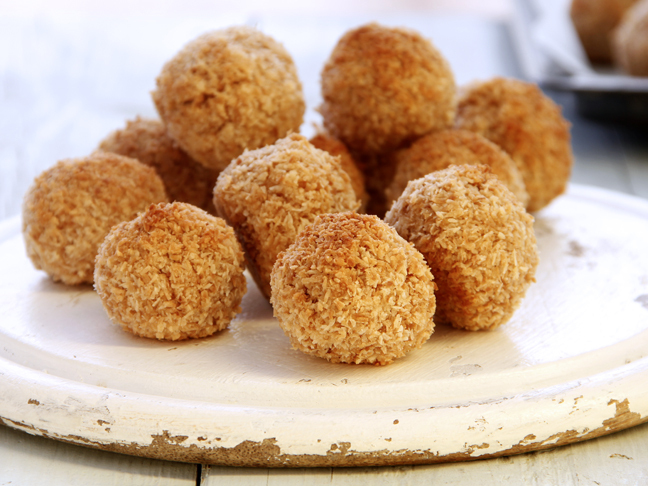 Add it to your family game night arsenal or roll it up to take on a road trip. Have fun!